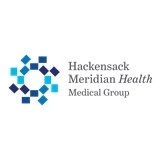 HMH Medical Group Primary Care, Oakhurst-Ste 300 (Oakhurst) - Book Appointment Online! Rachel was awesome. Very comfortable coming to this office. Everyone was pleasant and takes the time to listen to concerns, especially Rachel. I'm happy my sister recommend her. Good visit. Dr friendly and listened to my concerns.